The Isle of Man released six stamps on 14th February featuring actors and actresses who worked in silent films that were based on the novels of Manx author Hall Caine (1853-1931). 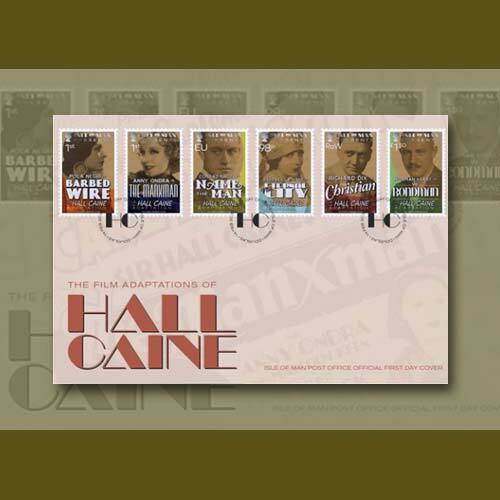 The Isle of Man has been a home to many fabulous artists and Hall Caine is one of them. His works have been widely appreciated and accepted all over the world. The stamp was released on the 90th anniversary of talking pictures and the Academy Awards. Polish actress Pola Negri (1897-1987) is featured on one stamp. She had acted in the 1927 film Barbed Wire that was based on Caine’s 1923 novel The Woman of Knockaloe. The Manxman was the last silent film directed by Alfred Hitchcock in 1929. Czech actress Anny Ondra (1903-1987) from the film is featured on another stamp. American actor Conrad Nagel (1897-1970) who acted in the 1924 film Name the Man is featured on another stamp. American actress Barbara La Marr (1896-1926) is depicted on the 98p stamp. She acted in the 1923 version of The Eternal City, Richard Dix (1894-1949) from the 1923 film The Christian, and Norman Kerry (1894-1956) from the 1929 version of Bondman are also honoured on stamps.